– Kaspersky Antivirus 2011 is another popular anti-virus software for windows 7, vista and xp. It offers a wide range of security features to protect the computer systems from the ever-growing online threats. Kaspersky Antivirus 2011 is the current edition of this popular anti-virus software. Like most other good antivirus software, it offers real-time protection against viruses, worms and other malware, spyware and adware. The following are some of the features offered by this software. Kaspersky anti-virus offer complete virus protection and guards yours computers from bot-nets and various illegal methods of hijacking your PC. The free download works for one month and if you are satisfied with this anti-virus solution, you can buy the full license. Kaspersky antivirus requires at-least 480 MB free space on the hard drive.If you plan to use it on mini laptops or netbooks, you should have a 160GB hard disk, 1GB RAM and 1 GHz 32-bit (x86)/64-bit (x64) or higher. 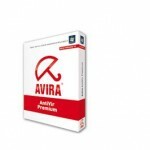 If you prefer free free virus protection, you could try AVG 2011, Avira free antivirus or the free avast antivirus. Get complete PC Security with Kaspersky Antivirus 2011.